On the certificate page, copy the URL on the address bar. Keep the tab open as you will need your Certificate Number found on the bottom right of the certificate, the Issue Date found on the bottom left of the certificate and the Course Name. 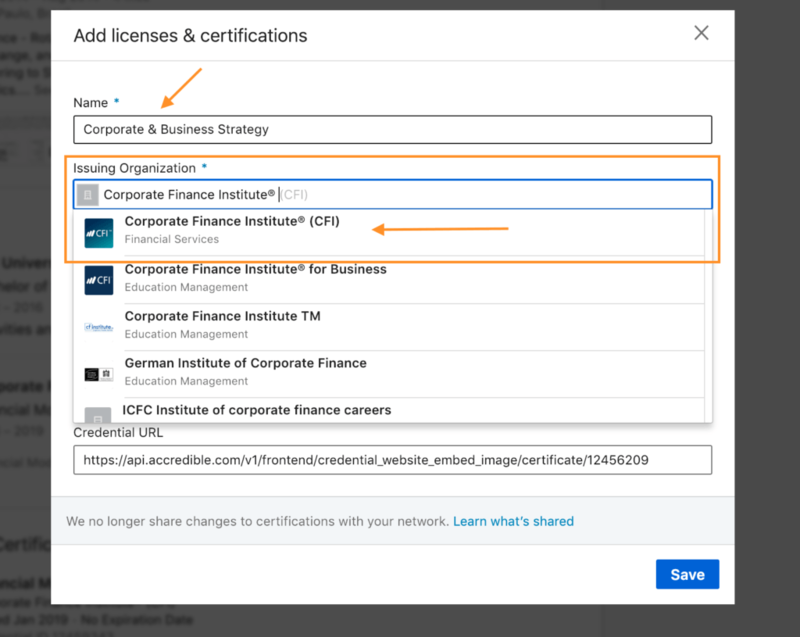 Go to your LinkedIn profile, and click on the “+” sign which will prompt a pop-up window to appear in order to add the Certificate. Paste the URL from the Credential Tab, which was opened earlier. 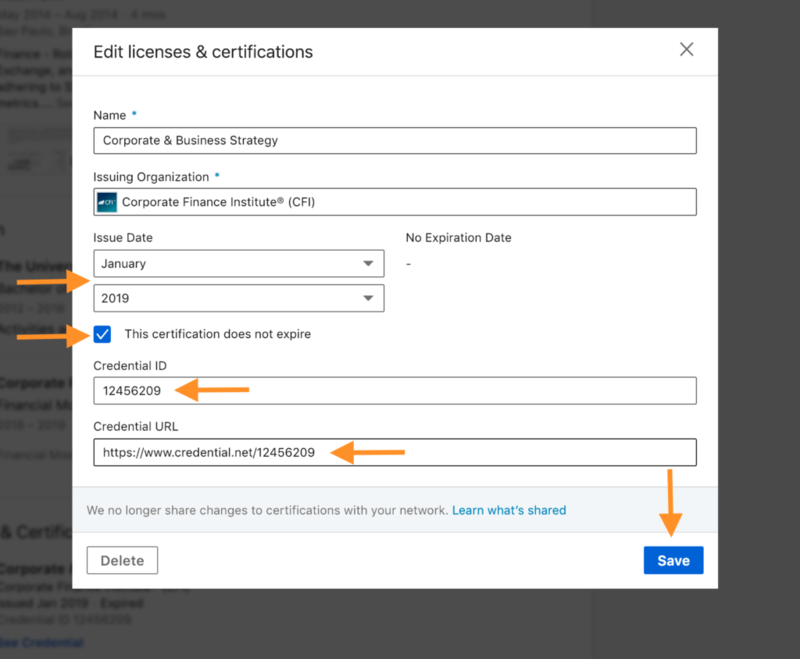 Add the issue date (found on your certificate), and select this certification does not expire. Add the Credential ID, found on the bottom left of the certificate. Click Save. Step 7 – Congratulations! You are Done! Congratulations, you should see your Certificate displayed under Licenses & Certifications. Click on “See Credential” to make sure that it’s linked correctly. 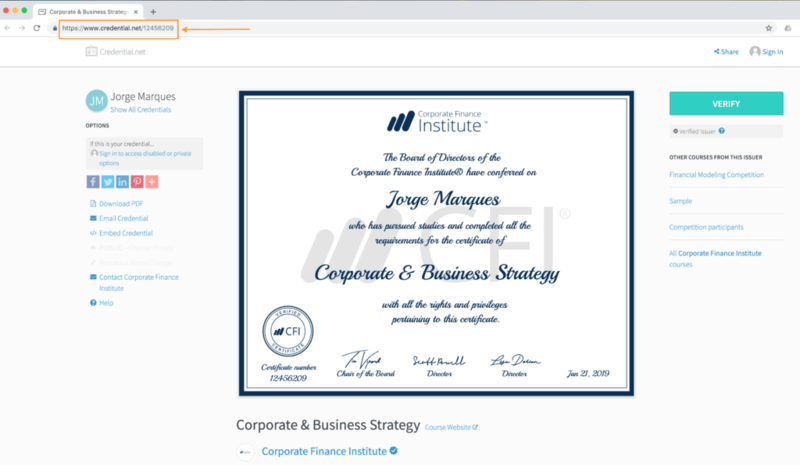 If you have any issues please send an email to [email protected], we would be happy to further assist you with placing your earned CFI certificate into your LinkedIn Profile or any other inquiry you may have. 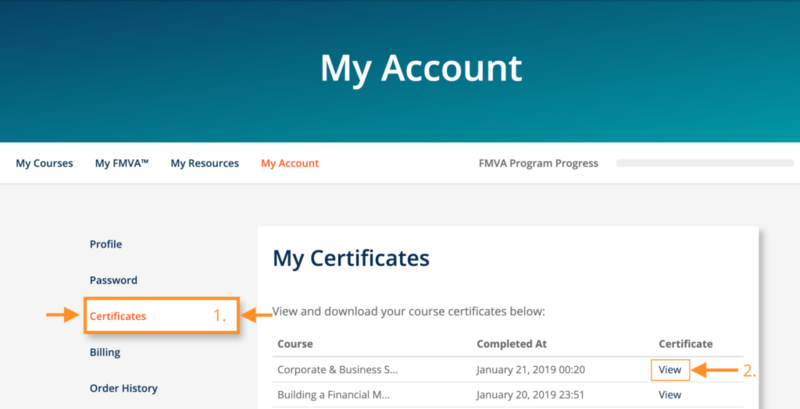 FMVA™ CertificateFMVA™ CertificationThe Financial Modeling & Valueation Analyst (FMVA)™ accreditation is a global standard for financial analysts that covers finance, accounting, financial modeling, valuation, budgeting, forecasting, presentations, and strategy.